To fully harness the object orientated nature of Modelica based simulation in reducing resource wastage on model variant development and maintenance, it is sensible to utilise an efficient template structure of some description. The Vehicle Interfaces library from the Modelica Association provides the most efficient way of fully utilising the inherent advantages of Dymola as a multi-discipline simulation tool. Developed collaboratively between various vendors, including Dassault Systèmes, DLR, Modelon and Claytex, the freely available and open source Vehicle Interfaces library ensures combability between vehicle subsystem models. By being open source, the Vehicle Interfaces library provides an open platform to build on rather than being tied to a proprietary platform which would be subject to the decisions and needs of a single company. In effect, the Vehicle Interfaces library defines the standard of Modelica based automotive/vehicle component interfaces worldwide, as it is freely available from the Modelica Association and used by the leading product suppliers in the field. For this reason, Claytex have developed the VeSyMA suite of model libraries upon the Vehicle Interfaces library to provide customers with the most flexible product possible. Intuitively, the Vehicle Interfaces library groups automotive components together by vehicle subsystem, regardless of media. For example, a brakes model features all the mechanical, thermal and fluid elements together in one braking system model, which reflects common workflow structure within industry. 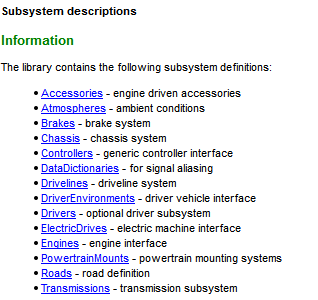 Figure 1: Subsystem template models found in the Vehicle Interfaces library, taken from the library user guide. Figure 2: Typical Vehicle Interfaces base class, in this case the TwoAxleBase model. positional flange to represent the brake pedal itself. Harnessing the lack of top level restrictions on model architecture, component subsystem models built from Vehicle Interfaces templates can be configured into any format of top-level vehicle model. 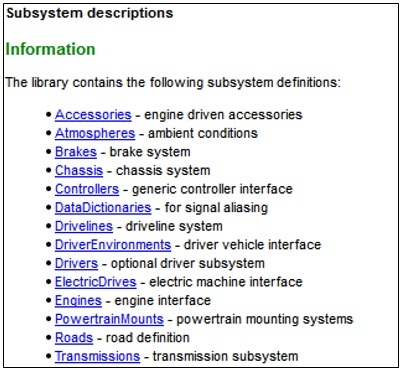 Use of the Vehicle Interfaces library templates to standardise the interfaces between subsystems means it is very easy for the user to expand upon components and develop their own models, as the integration of the new component into the wider model is ensured by the commonality of the template. This concept is fully harnessed in the VeSyMA suite of libraries, where we at Claytex have developed our own vehicle template system in which to combine the subsystem components. Additionally, this enables the subsystem components found in the VeSyMA suite of tools to be used in any model featuring component interfaces defined by Vehicle Interfaces models. fluids connectors on the VeSyMA model for the cooling system and fuel tank. As with any enforced structure, if not implemented intelligently then restrictions of usage will be encountered, leading to multiple versions of the same model being required to accommodate slight differences in configuration. Modelica’s natural flexibility as a modelling language enables these fears to be dismissed swiftly and comprehensively, with a prime example to be found in the VeSyMA library itself, regarding the relationship between the engine model and the cooling system. As the VeSyMA engine models are built from the Vehicle Interfaces VehicleInterfaces.Engines.Interfaces.Base template, natively VeSyMA engine models would not be compatible with a thermodynamic cooling system using heat port connectors; this is not an issue, as the Vehicle Interfaces base engine template can be extended to include the requisite heat port connectors. In effect, as the templates are comprised of layers with connectors declared in separate layers, the user is enabled to create component models of varying complexity without having to deal with every connector permutation in every model, vastly simplifying the modelling process both at a component and wider model level. Commonality of the fundamental Vehicle Interfaces base class ensures fundamental combability between every permutation across the wider vehicle model. Furthermore, connectors can be conditionally declared meaning they can be “turned off” if not in use by a Boolean parameter. All of these benefits from using the Vehicle Interfaces template structure lead to a reduction of model management and maintenance, where single components can be swapped out to affect a complex change in a wider model. 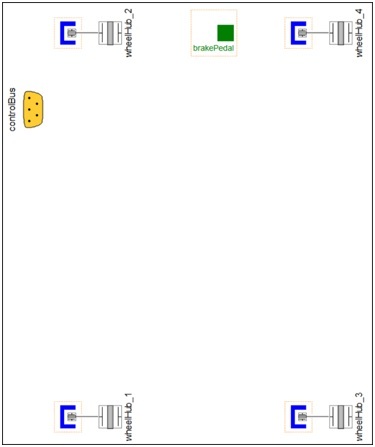 This means a single vehicle template is used, rather than multiple templates to support various multiple media sub-components, as the above example shows. Furthermore, an engine model developed by a third-party using the same open-source Vehicle Interfaces template would be supported by the same single vehicle model. Fundamentally this gives the user the advantage of model reuse and the resources that need to be dedicated to model maintenance can be reduced, whilst the company is not tied to a single software vendor thanks to the open standard model architecture. Intelligent implementation of robust templates in the VeSyMA platform empowers the user to be able to delve into any level of detail and complexity desired, without having to waste time dealing with issues of integration and model library maintenance, combined with the least restriction of compatibility with third-party vendors possible.